LG G6 in Gold Amber introduced by the company in Hong Kong has left us all amazed. Now, this is something different from its basic black and white colors. Great news for all LG G6 lovers! LG G6 unveiled at Mobile World Congress has added one more color to its list. Though LG has not officially announced about this recent introduction, the new color tone can be seen on its official website. For now, the device in this color tone is available only in Hong Kong and South Korea. LG G6 in Gold Amber will retain its black front for creating an illusion of minimal bezels. However, the rear and sides of the gadget will be covered by soothing Gold Amber tone. And if you were not convinced with brighter gold tones of other gadgets, this phone will have a little dull textured tone. May be something similar to copper tone! LG G6 bears a classy metal body and its great water-resistant feature convinces us to lay hands on it soon. LG had announced its G6 model in April, and it was available in limited color tones including black, white and titanium. And the US customers were able to buy only black and titanium colored models. LG’s weird policy of selling smartphones with 64GB internal storage capacity in Asia, and 32GB in the other corners of the world was its major drawback. However, its competitor, Galaxy S8 was offering 64GB internal storage capacity to all of its worldwide users. And next year, the successor of LG G6, LG G7 will get rolled out with an amazing OLED display. It is generally observed that companies introduce new color tones after a few months of launching their smartphones. This not only helps in creating buzz in the market, but also boosts its sales figures. Because of carrier problems, these fresh colors sometimes fail to reach the US market. 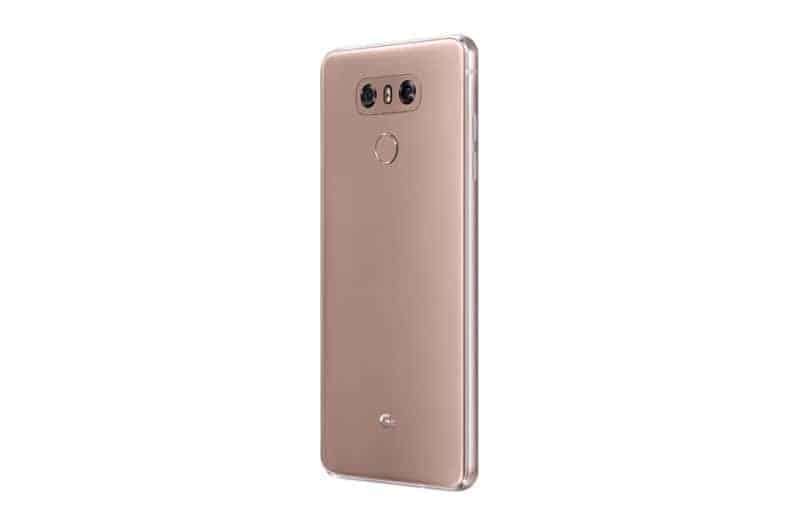 As the company is already selling the unlocked version of G6 in the US, it won’t be a surprise to see LG G6 in Gold Amber reaching the US markets soon.